The Barnett-Searing National Cancer Foundation was created in 2001 to honor two courageous women and to continue their legacy through philanthropy. Jenny Searing lost her battle to ovarian sarcoma, and Mary Barnett lost her fight to uterine sarcoma. Their families and friends accepted the challenge to make a difference in the lives of those currently battling cancer, and BSNCF was founded. The goal was to create a charity where the founders, friends, family, and supporters improve the quality of life for cancer patients and their loved ones while keeping the light of these two women shining brightly. Through the years, the Foundation has made a difference in countless lives through a variety of projects which offer comfort to cancer patients and their families. The Foundation's mission is to support women of all ages affected by cancer and the loved ones who care for them by providing unexpected acts of kindness. This was inspired by a poem Mary Barnett left for her family where she asked that her spirit live on through acts of kindness. We are committed to making a positive impact on their emotional and physical health, lifting them up and offering hope. In 2018, we will offer the opportunity of "experiences" to the BSNCF community. Writing inspirational letters, assembling and delivering Smile Kits, spending time with patients at hospitals, and hosting an event or fundraiser to bring our community together are just a few examples of how we offer our supporters an opportunity to “see” their dollars at work. Donors may also choose to give back by sharing a story on our website, rocking the BSNCF kit in an athletic event, or starting an individual fundraising campaign. We also seek opportunities to partner with corporations to create employee give-back experiences creating social impact. The BSNCF community is comprised of those individuals who have been affected by cancer. We are sisters, brothers, moms, dads, grandparents, friends, family, survivors, patients, caregivers, and members of the medical community. We provide the opportunity to make personal connections and have real, meaningful conversations about the struggles, victories, and everyday challenges of living with cancer. Our community encourages, celebrates, and grieves. We are all in this fight together. Female cancer patients and survivors who would like to serve as mentors are welcome to join our closed Facebook Group to find support on their journey. The BSNCF logo was chosen with careful consideration. The leaves represent the various meaningful projects that the Foundation has executed through the years. The butterfly is symbolic of the legacy of Mary and Jenny. Jenny also wrote a poem about butterflies which served as inspiration. 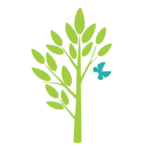 The butterfly in our logo purposely looks like a leaf flying away in the wind from the tree. Vibrant hues of blues and greens were chosen to demonstrate hope. The roots of the tree are grounded and steadfast like the strong leaders of our Foundation, firmly supporting its branches. The next chapter of BSNCF will be bigger and brighter. We've enlisted the best thought leadership and some amazing skills-based volunteers. In 2019, we plan to increase the number of events that bring our community together to share, fundraise, and do more good. We invite you to participate in our Stories or Letter Writing Projects. We've done meaningful work, but we won't settle and want to do more. Our stretch goal for the year is to add celebrity experiences for the cancer community we serve. Join us! BSNCF is piloted by a small but highly qualified leadership team with years of experience, passion, and commitment to making a difference. Because we've hired the right staff with broad expertise, the vast majority of our donated dollars go directly to improving the lives of those affected by cancer. We are extremely lucky to have a talented Board of Directors each with a personal connection to cancer. The combination of exceptional skills and dedication that our leaders possess have allowed the Foundation to achieve its mission with innovation. Get to know the energetic people who lead BSNCF.